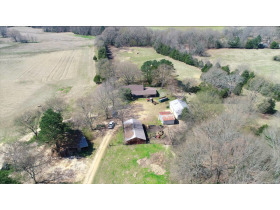 Multi Parcel Real Estate Auction For The Estate of Priscilla M. McDonald, Tupelo, MS | Taylor Auction & Realty, Inc.
PROPERTY IS OFFERED UNDER THE SPECIFIC TERMS PROVIDED. PLEASE READ AND REVIEW THE TERMS THOROUGHLY PRIOR TO BIDDING ON ANY PROPERTY. 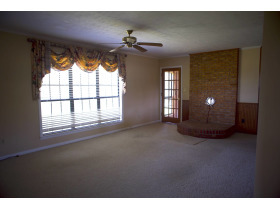 IF YOU HAVE NOT READ AND REVIEWED THE TERMS and all DOCUMENTATION PROVIDED at www.taylorauction.com. 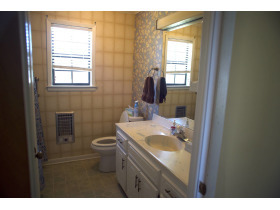 IN REGARD TO THE CONTRACT OF THE PURCHASE AND SALE OF REAL ESTATE, DO NOT BID. Terms are per the sellers. 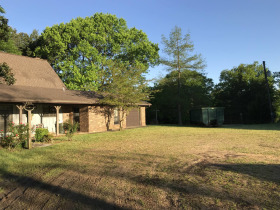 Auction Date and Method of Sale: The online auction closes on Wednesday, May 29, 2019 at 11 am with a soft close. This online auction is offered by our Ultimate Choice Bidding Platform. You may bid on one tract or all. 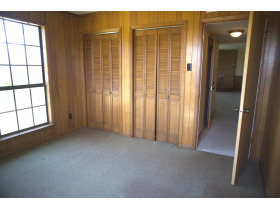 Bidders are able to pull out a single tract from a combination or bid on just one tract. This online auction is set for automatic approval. You may register for the auction. However, before you bid, please print from the Documents Section the form, Working with a Real Estate Broker. After printing and reviewing, please acknowledge by your signature above the Customer line your acknowledgement of non-representation. In addition, please download all documents in regard to this auction. 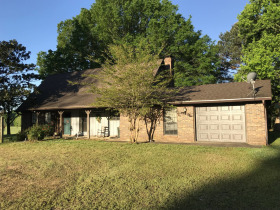 Before you place a bid on the home, please print, sign and return to our office the Property Condition Disclosure Form, page 2 of the INFORMATIONAL STATEMENT FOR MISSISSIPPI PROPERTY CONDITION DISCLOSURE STATEMENT and page 6 of PROPERTY CONDITION DISCLOSURE STATEMENT. Please email to [email protected] or fax to 1.662.227.1653. If you need assistance with these forms, please call us at 1.662.226.2080. Taylor Auction & Realty, Inc. has put forth every effort in preparing the catalog for this auction to provide accurate description of the property. 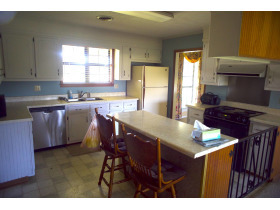 The property is sold as-is with no warranty written or implied by Taylor Auction & Realty, Inc. The following information is provided to you as a matter of convenience only, and no representation or warranty, expressed or implied, is made as to its accuracy or completeness by the auctioneer. All information obtained came from the seller or third party sources. It is encouraged that you inspect the property you wish to purchase PRIOR TO THE ONLINE AUCTION. No sale will be contingent upon a property inspection by the successful bidder after the auction or is the sale contingent upon Buyer obtaining financing. You are making a CASH SALE offer. 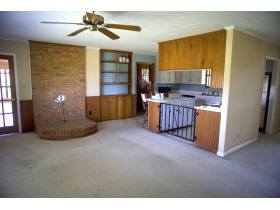 You are expected to pre-qualify yourself with a lender before the auction. Printed statements or descriptions by staff or the seller are provided in good faith and are matters of opinion. Bidders must conduct and rely solely upon their own investigations and inspection in regard to the condition and feasibility of the bidder’s intended use. The real property is being sold AS IS with any and all faults. Please review all information supplied and seek appropriate assistance prior to bidding at auction. 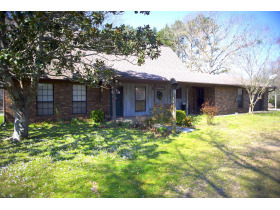 In regard to Inspection, please call 662-226-2080 to speak to Benny or Ruthie Taylor. In order for us to have enough time to conduct authorizations, it is encouraged that your register and bid early. Waiting till the last minute to register and/or become comfortable with the system could negatively affect your bidding. We encourage you to register at least 24 hours in advance of the auction. Online auctions move quickly! If you are interested in bidding, bid quickly; especially at the close of bidding time. The bidding software will notify bidders by email or text when they have been outbid. Bidders may also find out if they have been outbid by refreshing the individual lot information or the entire screen. Due to varying internet connection speed, please place a max bid or constantly monitor the auction at close of bidding. Sometimes email or text notifications can be delayed. If you win you will be notified by email. Taylor Auction & Realty, Inc. will provide kiosk bidding the day of the auction at the property. Contract signing will take place immediately afterwards. There is an extended bidding feature at our website. Therefore, please be online before closing to bid further if activity extends the bids. All online only real estate auctions are timed events and all bidding will close at a specified time unless bids are placed in the last ten minutes. Since this auction is utilizing the Ultimate Choice Bidding Method this auction employs the extend-all feature. The extend-all feature extends the bidding for all lots on the auction. 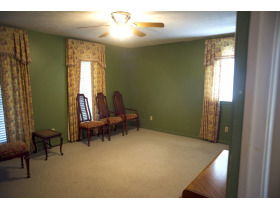 The auction has an extend-all feature of 10 minutes. This means if the end time is 11:00 am and auto extend is set at 10 minutes, and a bid is placed 9 minutes before the end of the auction, this will only extend the auction to 11:01 pm. The actual end time shown for the auction is the end time for all items and other bidders are always given the amount of time supplied as auto extend to consider placing a bid. Please note that this feature changes the actual end time of the auction and that no notification of this extension is currently in place. So stay present at the end of the auction to achieve your goal. Time Increase or Decrease: Taylor Auction & Realty, Inc. may increase or decrease the extended time amount at any time during the auction until the close of bidding. ORDER OF AUCTION: Offering - The real estate is offered in individual tracts by the ultimate choice auction format. The property is being offered in six tracts by the Ultimate Choice Bidding Method. Tracts that are just land will be offered by the estimated map acreage. The final contract will be based on the actual surveyed acreage. The house and 10 acres will be sold by the whole dollar amount. If the last bidder is the winner of all tracts, the contract will be for the whole dollar amount. This catalog will close after 11:00 am depending on bidding activity. A 10 % Buyer’s Premium will be added to your final bid to equal the contract price. For example: When you place a bid, the total you enter will be total dollars. Before you enter that total dollar amount, estimate what you want to give per acre. Example Parcel A – approximately 2 acres If you want to pay $3000 per acre, enter $6000.00 and the system will display the per acre amount of $3000.00. However, if the acreage on Parcel A surveys at 1.75 acres and your last bid was $10,000.00 for 2 acres which is $5000.00 an acre your contract would reflect as the example below. You only pay the amount of acres surveyed. Remember whether more or less than stated acreage, you only pay for the amount of surveyed acres. BUYER IS RESPONSIBLE FOR THE COST OF THE SURVEY. You may bid on a combination of parcels or a single parcel.  In this catalog, you can bid on a combination of vacant lot parcels or just one also. If a vacant lot is in a combination, the ultimate choice bid method will allow you to extract a single parcel from a combination subject to a specified increase over the current high bid. Opening bids are entered on each parcel individually for a base price to begin the bidding of the tracts individually or to assist with combinations. This allows bidders to bid on any tract, group the tracts in any desired combination, or bid the whole property, subject to a specified increase over the current high bid. CLOSING: Time being of the essence, each sale contract must close no later 30-45 days after execution of the contract. The Seller will convey property by and is responsible for only deed preparation. ALL OTHER closing costs i.e. survey fees, title work, are the responsibility of purchaser. TAXES:2019 Taxes will be prorated. Any past taxes will be brought current by the seller. MINERAL RIGHTS: No mineral reservations. BIDDER BROKER PARTICIPATION: If you are utilizing a broker for bidding assistance, a Bidder Broker Participation Form is available under Documents of the project and should be completed and notarized by you and your broker 24 hours before the auction end date and time. RESTRICTIONS: Subject only to local and State of Mississippi laws, ordinances and regulations. Property is selling subject to all easements of record. The seller does warrant that they have good merchantable title to the real estate and that they will convey the same with a warranty deed, free from all encumbrances, liens or judgments at the time of closing. Auction Contract(s): At the close of the auction, if the bids are accepted by the seller, successful bidders are emailed a contract for execution. The contract should be returned to Taylor Auction & Realty, Inc. within 24 hours of the end of the auction. Successful bidders will deposit 10% of contract price per property in the form of cashier's check or wire transfer to Taylor Auction & Realty, Inc. You are closing on property on which you are the successful bidder in the final manner in which you bid at the auction. AUCTION BID DEFAULT: Successful bidder not executing and returning the contract with earnest money deposit within 24 hours of the conclusion of the auction is considered in default. Taylor Auction & Realty, Inc. reserves the right to sell to the second-highest bidder in the event the successful high bidder does not comply with the terms of the sale. In the event a winning bidder fails to submit the signed Contract for the Sale and Purchaser of Real Estate and 10% of High Bid Price in earnest money deposit, Additional default remedies is reserved by Taylor Auction & Realty, Incorporated and the Seller as provided in the Auction Terms and Conditions and the Contract for Sale of Real Estate. Taylor Auction & Realty, Inc.'s INVOLVEMENT IN THIS CONTRACT: Taylor Auction & Realty, Inc. is the agent of the seller and their fiduciary duties of loyalty and faithfulness are owed to their client (the seller). Auctioneer has the right to sell the property in any form or fashion that is legal and ethical in order to produce the best offer to the seller. Taylor Auction & Realty, Inc. is not acting as a buyer's agent. TAR reserves the right to remove or cancel the bids and or bidding rights and privileges of any party, deemed not to be in the best interest of the seller, at any time. The seller and buyer hereby agree that Taylor Auction & Realty, Inc. is a part of this contract and shall receive compensation as stated in the Contract to Purchase Real Estate. Announcements in the form of updated terms posted on the website will take precedence over any prior viewed terms at registrations, previously material or any other oral statements made. Please view the terms periodically for any changes.